ISLAMABAD: Withdrawing critical taxes on capital market and ban on purchase of vehicles by non-filers of income tax returns and facilitating industry, agriculture and small and medium enterprises (SMEs), the PTI government announced on Wednesday the second supplementary budget in almost four months with overall net revenue loss of Rs6.8 billion. 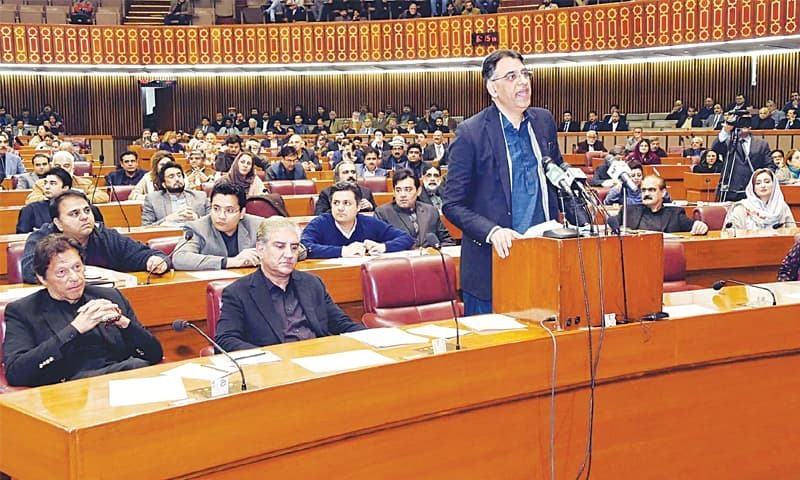 Finance Minister Asad Umar delivered his second budget speech in the National Assembly amid exchange of name calling and taunts with opposition parties — unlike delivery of previous supplementary budget speech in September last year in a calm and peaceful environment. While introducing the Finance Supplementary (Second Amendment) Bill, 2019, the minister claimed at the outset that it was not a new budget but “a package of investment and export promotion measures for industrial revival which addresses all the key challenges” facing the economy and would lay the foundation for macroeconomic stability and growth in the years to come. Finance ministry officials believed that the impact of loss in revenue arising out of facilitations and incentives to various business segments would largely be compensated by resulting economic revival and expansion. When contacted, Finance ministry’s spokesman Dr Khaqan Najeeb said that “there is no change in FBR’s target and in overall fiscal deficit” during the year. The Federal Board of Reve­nue target remained unchanged at Rs4.398 trillion, he added. Another official said the government would lose some revenue on account of removal of withholding tax on banking transactions for tax filers and stock exchange trading, but this would be more than compensated by an end to the ban on purchase of vehicles of up to 1,300cc capacity by non-filers and increase in duties on luxury cars and other items. Duties on import of cars and jeeps above 1,800cc would increase by 5-10 per cent — from 20pc to 25pc for up to 3,000cc and from 25pc to 30pc for above 3,000cc. Also, 10pc excise duty has been imposed on import of cars and jeep engines exceeding 1,800cc to discourage luxury imports. The Pakistan Tehreek-i-Insaf government had also announced the elimination of restriction on non-filers on purchase of vehicles in the Sept 17 supplementary budget but backed out later after widespread criticism, mostly from the opposition benches, for facilitating informal economy and non-filers. The finance minister has a new justification this time, saying the decision will have a positive impact on the local automobile industry and remove a distortion between purchase of immovable property and vehicles. 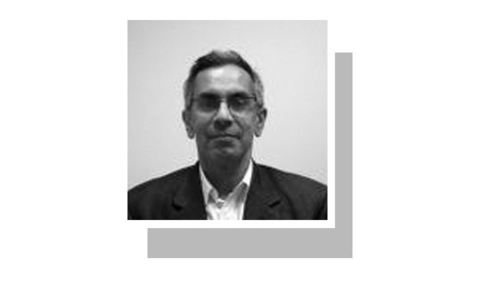 Last time, Mr Umar had claimed that the restriction was interfering in the ability of overseas Pakistanis to do business and invest in Pakistan. Some in the opposition seized upon this clause to argue that the government has introduced an “unannounced amnesty scheme”, but minister of state for revenue, Hammad Azhar, took to social media to clarify that the new clause simply extends the powers of the tax authorities to go after undeclared assets once they are discovered. Arguably significant support and facilitation packages were offered to almost the entire business sector, starting from SMEs to agriculture and from low cost housing to banking and from traders to industry and special economic zones and big businesses — apparently targeting the traditional support pockets of the Pakistan Muslim League-Nawaz as the finance minister highlighted how the previous government kept squeezing them over the last five years. For example, the minister said the tax rate was being reduced from 35pc to 20pc for income of banks arising out of additional SME financing, agricultural financing and low cost housing. A seed money of Rs5bn would be offered as interest-free loan to the housing sector. Mr Umar described these areas as priority sectors to spur economic growth and create jobs. The additional financing will be worked out on the basis of average advances to these sectors in calendar year 2018 and the facility would remain in place from tax years 2020 to 2023. The minister expressed the hope that the course of stabilisation coupled with structural reforms he was charting for the economy would usher an era of economic prosperity for people and promised to focus his attention on accelerating investment and domestic savings through an upcoming medium-term macroeconomic growth framework. “Growth will come through expanding domestic supply and financed largely from domestic resources,” he said. Another key move was the announcement for settlement of Gas Infrastructure Development Cess (GIDC) arrears against various industries that would come up for approval before the cabinet on Thursday. The finance minister hinted at bringing down the overall rate of GIDC for all sectors to reduce the cost of doing business, besides a 50pc cut in these rates for the fertiliser sector that he believed would reduce fertilizer price by Rs200 per bag. To facilitate businesses with minimum FBR interface, the minister announced that withholding agents were no more required to file monthly withholding statements, but only biannual statements. The finance minister also announced steps cajoling the newspaper industry, small shopkeepers and owners of marriage halls in the form of reduction in tax rates. Also included in the reduced duty rates or removal of regulatory duty are import of raw material/inputs for 135 tariff lines meant for plastic, footwear, tanning, leather, home appliances, diapers and chemical sectors. Most of these steps would come into force on March 31. Regulatory duty was also announced for removal of input materials of around 200 tariff lines for manufacturing of automobile parts by local vendors. 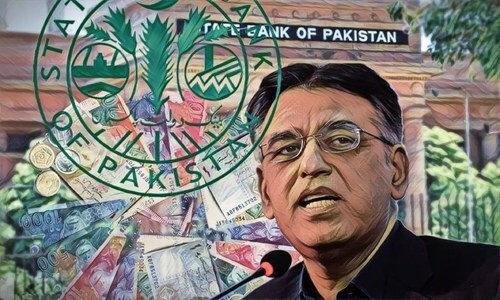 Accepting the demand of big businesses and their chambers, the finance minister also announced abolition of super tax on non-banking companies with effect from July 2019, besides offering incentives to industries to set up Greenfield projects. Mr Umar said the economic framework would ensure the economy to stay on an accelerating growth path, reduce current account deficit sharply and fiscal consolidation lead to reduction in the fiscal deficit. In addition, the government will continue to manage quasi fiscal deficit in the energy sector and bring the flow of this build-up to zero. Through aggressive structural reforms, the FBR revenue is estimated to grow significantly in real term as a percentage of GDP, with the provinces expected to follow the same. The structural measures, the minister hoped, would affirm a positive trend in domestic savings, thus ensuring a substantial portion of higher investments financed through domestic resources and exports and remittances grow in double digits. On top of that, the minister said that adequate foreign financing from bilaterals, multilaterals, launch of Pakistan Banao Certificates, Panda Bonds, Sukuk and Eurobond and commercial financing would keep flowing to help build foreign exchange reserves to a comfortable level of import in the medium-term. "Business Sentiment" is a term used in large capitalist countries. What does business sentiment affect here? Make the Dam from looted money retrieved from Nawaz Sharif. Good luck convincing IMF that you will be able to meet fiscal deficit numbers despite the giveaways. Why should anyone in Pakistan pay their taxes when the government keeps on making concession after concession to those who do not pay taxes. PTI government is heading for trouble. Finalize a policy and stick with it, things will change gradually. Stop taking u-turns People who want to criticize, will do so anyway. @Anti-Corruption , will you also ask from JKT? Business Sentiment is dead as long as an unfair and unjust tax code exists. Please understand this clearly in your head. "ban on purchase of vehicles by non-filers of income tax returns .." This is so unfortunate that those who file taxes get no benefits. Finance Minister should have announced incentives for filers when trying to benefit non filers. Why should I file taxes if those who do corruption and loot money are protected by government. These cosmetic changes won't be able to address the issues. @AW, .well there is nothing excellent in it.its a hoax to fool people. If these incentives only lead to revenue fall of Rs 6.5 billion (which would less than 50 Million dollars) how can this kick start the economy, Something doesn't add up. Media anchors who doesn't know the ABC of economics are highly critic of the mini budget, however, majority of economic experts consider it a breath of fresh air which will put the economy on the positive course. Well done Asad Umar! No doubt its your hardworking on economic stability of Pakistan. Every individual knows that PTI is working on the right direction, this mini budget is a good sign of progress. The turning point in Pakistan economic conditions. We will be in trade surplus in 5 years if not sooner. Get the construction industry rolling your actions and that of the supreme court has made the development in Karachi to a halt. Mr Umer should have also reduced duty on power and manual tools used by plumbers, electricians, motor mechanics carpenters etc. Poor guys working in these sectors don't have proper tools to do their job properly and make a decent livelihood. Having proper tools can make their life lot easier. Majority of plumbers and electricians etc don't have a drill machine of their own which is a basic tool. What mini budget will do for common people? Nothing! IK and his naïve comrades do not know an iota about the suffering of common people in country from Peshawar to Karachi. In Karachi's posh areas there are serious water and gas supply issues! In not well to do areas of Karachi for example, in Orangi town people do not get electricity and Sui gas on daily basis, so they cannot cook their meals, hence families go on skipping meals and suffer from starvation for days...in areas like Surjani town, people do not get electricity and water for weeks and hence they cannot send their kids to schools for many days...the story goes on and on! Hello anyone there! Finance Minister Asad Umar has introduced some good things to try to squeeze money (somehow) from the rich people who don't pay taxes and hide their money and still can afford lavish lifestyles . However, these efforts , in my view, don't go far enough. The simple motto should be 'tax the rich and their lifestyles and support the poor to live/survive''. The important thing is to trace out in each city and town and village, the rich -- those living lavishly, with many cars and ACs and all sorts of facilities and goods and services, spending money on hotels and restaurants and foreign travel etc . Ask them where they are all getting their income/funds from and if they are paying income tax or other taxes? Check up their resources carefully and tax them accordingly. For this purpose, I also feel that small farmers should be given incentives but big agri landlords should be taxed on their large properties and holdings. Reduce Tax to, such a, level that people can pay with a smile . .If not high tax crisis creates security fears across region .Depression , economic hardship cited as factor. When people don't pay tax ..a state cannot survive .For a state to survive you need a strong civilization ,education money ,lawyers ,doctors, .you don't create a civilization with not paying Tax . .